CIRQ Act II Debuts Michael Browne has announced Act II for his personal CIRQ label. After he turned over his winemaking responsibilities at Kosta Browne to his protege, Nico Cueva, he reenergized to pursue his dream of making Pinot Noir from special Russian River Valley vineyard sites. Kosta Browne will be taking over both Treehouse and Bootlegger's Hill vineyards and the wines will be available through the Kosta Browne mailing list. The 2016 vintage will be the last for both CIRQ and Kosta Browne wines from these two vineyards. His future plans include a new estate winery and a tasting lounge in the heart of the Russian River Valley. Signups are now being taken for CIRQ II with an offering to current CIRQ customers. Roll Out the Barrels Weekend Celebrates SLO Wines San Luis Obispo (SLO) Wine Country holds its 28th annual “Roll Out the Barrels” grand tasting celebration with a variety of events, June 21-23. The “Barrels in the Plaza” event will be held on June 21 on the grounds of the historic Mission San Luis Obispo de Tolosa as an outdoor walk-around affair in downtown San Luis Obispo. On June 22-23 is the “Passport to SLO Wine Country with tasting rooms open for exclusive experiences. See the full schedule and purchase tickets at www.slowine.com/events/passport-to-slo-wine-country.php. Brewer-Clifton Opens New Urban Tasting Room Brewer-Clifton has opened a new tasting room downtown in Los Olivos. In addition to the Brewer-Clifton lineup of appellation and vineyard-designated wines from the winery’s estate, wines from Diatom Chardonnay and Ex Post Facto Syrah will be featured. Founder Greg Brewer announced that the Tasting Room will be open daily at 2367 Alamo Pintado Avenue. The Lompoc winery is open only by appointment. Fiddlehead 30th Anniversary On Saturday, July 28, Fiddlehead will be hosting it’s “6th Annual Drink 728 and 7/28 as well as Fiddle Fest 2.0 at Fiddlestix Mile 7.28”, which also happens to be Fiddlehead Winery’s 30th anniversary. General admission from 1:00 p.m. to 4:00 p.m. includes a tasty BBQ, vineyard tours and more than 30 wines open for tasting. 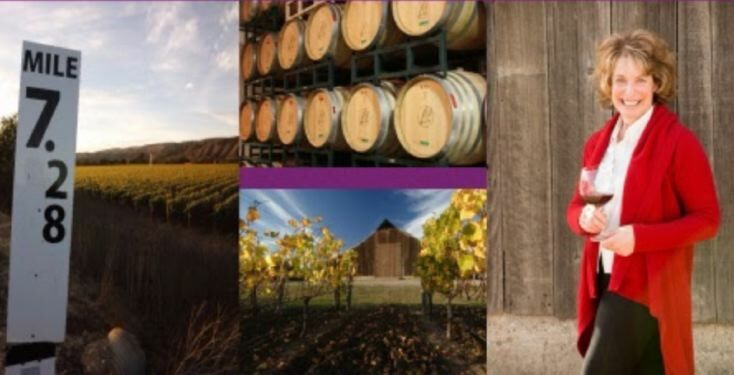 Fiddlehead will be pouring extensive verticals of all their wines made from the Fiddlestix Estate Vineyard as well as vertical of Sauvignon Blanc and Oregon Pinot Noir. The event is also a fundraiser for the Women’s Fund of Northern Santa Barbara County. Tickets purchased before July 16 are $80.Purchase tickets at www.fiddleheadcellars.com/drink-728-on-728-2018.html. Sta. Rita Hills Wine Alliance Wine & Fire 2018 This event will be held the weekend of August 17, 18, 19, and includes a Friday Night Barn Party at Fiddlestix Barn set amongst 96 acres of Pinot Noir, Saturday Morning Speed Tasting with a Winemaker at Peake Ranch, and Saturday Evening Grand Tasting at La Purisima Mission. For a detailed description of the events and to purchase tickets, visit www.eventbrite.com/ e/wine-and-fire-in-the-sta-rita-hills-wine-country-2018-tickets-4601395. Lingua Franca Opens Tasting Room Lingua Franca has announced a summer partnership with McMinnville’s farm to table restaurant, Thistle, where the winery will be creating their first walk-in Tasting Room experience. The regular weekly schedule will be Friday through Monday and cost only $20 per person. Reservations are not required for groups of up to 4 guests. In related news, Lingua Franca has just released four 2016 wines: AVNI Chardonnay, AVNI Pinot Noir, Bunker Hill Estate Chardonnay, and Estate Pinot Noir. These are the first ever releases of Estate Pinot Noir and Chardonnay. Visit www.linguafranca.wine/shop/. Gallo Purchases Historic Sierra Madre Vineyard Gallo took over Sierra Madre Vineyard and the nearby Rancho Real Vineyard in May 2018. Sierra Madre Vineyard dates to 1971 and consists of 151 acres of vines, mainly Pinot Noir and Chardonnay. Grapes are currently sold to 35 wineries and Gallo says they will continue to honor all grape contracts with existing customers. Rancho Real Vineyard (also known as Murmur Vineyard) has 211 acres planted to multiple red and white varieties and again, Gallo will honor all grape contract. Pali Wine Co. Secures Lease on Huber Vineyard Norman Huber planted his vineyard in 1987-1988 and is one of the oldest vineyards in the Sta. Rita Hills AVA. Planted to Pinot Noir and Chardonnay, the vineyard is a fruit source for several regional producers. There are 8 acres of clone 115 and 3 acres of clone 667 as well as 11 acres of Wente clone Chardonnay. Pali plans a Pinot Noir and Chardonnay vineyard-designate from Huber Vineyard and will use some fruit in its Summit Sta. Rita Hills cuvée. 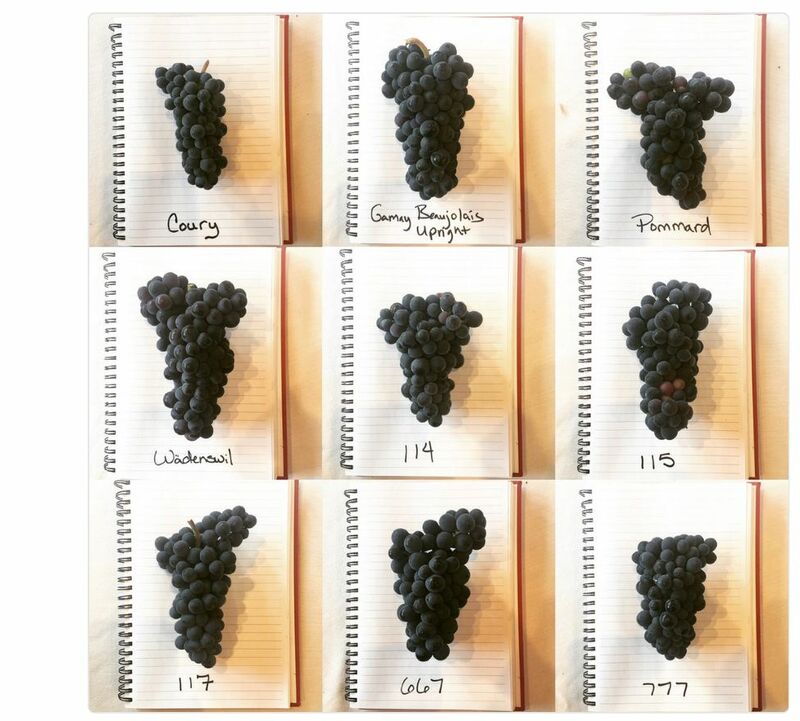 Help Me Find the Source On April 19, 2018, I came across this excellent photograph of Pinot Noir clones on the web. I made a screenshot but did not document the source. I believe it was from a wine blog. If anyone knows the source, please contact me as this is a valuable reference source but needs attribution. Paso Pinot an Oxymoron? A recent article in Wines & Vines describes vintners who have found cool pockets for growing Pinot Noir in the Paso Robles AVA. Read about Windward Vineyard, Haas Vineyard, and Sculterra Winery at https://www.winesandvines.com/news/article/199334/Vintners-Find-a-Place-for-Pinot-in- Paso. Oregon’s Knudsen Family Featured A tribute to the Knudsen Vineyards family appears at https:// www.thedailymeal.com/drink/love-land-legacy-knudsen-familys-wine-roots-run-deep-oregon. UPS Next Day Air® Apparently UPS has a new wine shipping service ideal for summertime shipping. For the same cost as ground, wines leave a winery in the afternoon and arrive at the buyers business or home in the late morning the next day. Wines shipped by UPS Next Day Air® can be delivered on business days, Tuesday-Friday mornings. I noted that Inman Wines in Santa Rosa is offering this shipping option. On another note, the shipping center I use locally in Orange County, California, now offers to ship wine to many states. Previously, one needed a license to ship wine legally in the US. FOOD: What The Heck Should I Eat? This book really changed my thinking about eating certain foods. Bestselling author Mark Hyman, M.D., has written an invaluable guide that clearly breaks down all the science and gives a plausible roadmap of what we should eat for our health. For example, Americans eat way too much sugar, consuming on average 100 lbs. of sugar annually. Unless you grow what you eat, it is almost impossible to avoid its consumption. This may be the most important book you can read if you care about your health. My only disappointment is that Hyman only devotes two out of 334 pages of text to wine under the heading, “The Bottom Line on Wine.” After reviewing a couple of studies, he says, “Taken as a whole, the research suggests that alcohol in small amounts can be good for you. That’s especially the case for red wine….The key - and this cannot be emphasized enough - is moderation.” He thinks beer is off-limits since it is loaded with carbs (one can of beer has about the same amount as a slice of white bread) and gluten. He also discourages sugary cocktails and feels beer alternatives such as hard cider are not any better than beer. Stick with water, green tea, coffee in moderation, and red wine in moderation.